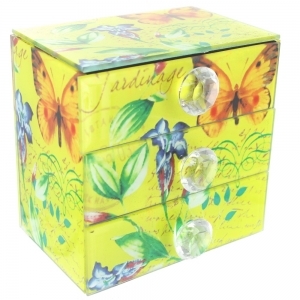 An attractive chest (13cm x 8.5cm, h13cm) in a vintage design. 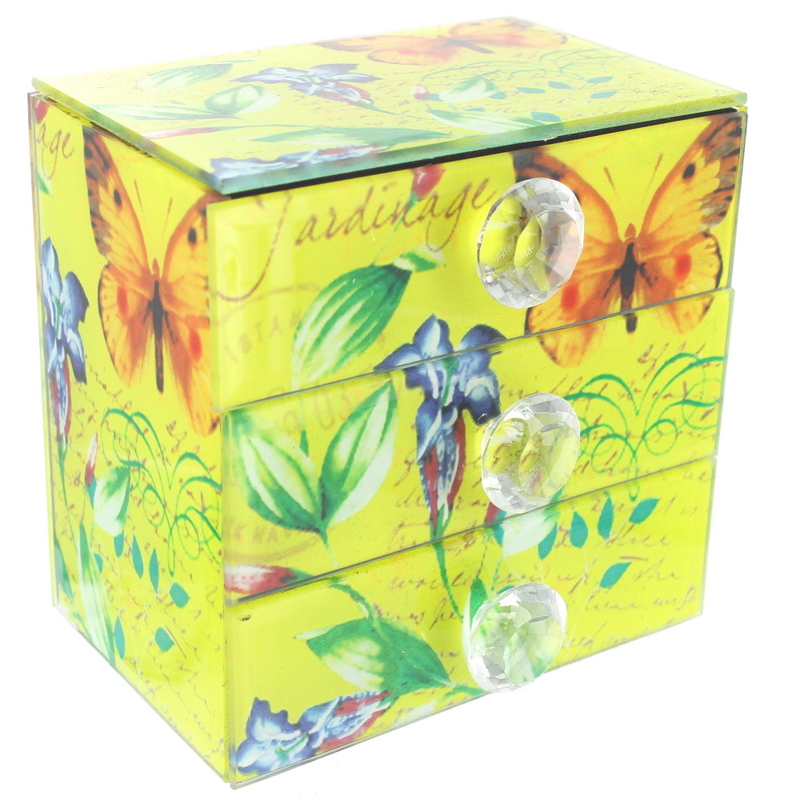 It has brightly coloured butterflies and flowers on a yellow background. There are 3 drawers, each with a glass knob. All are lined in black. There are four pads on the base to protect furniture. A lovely gift.